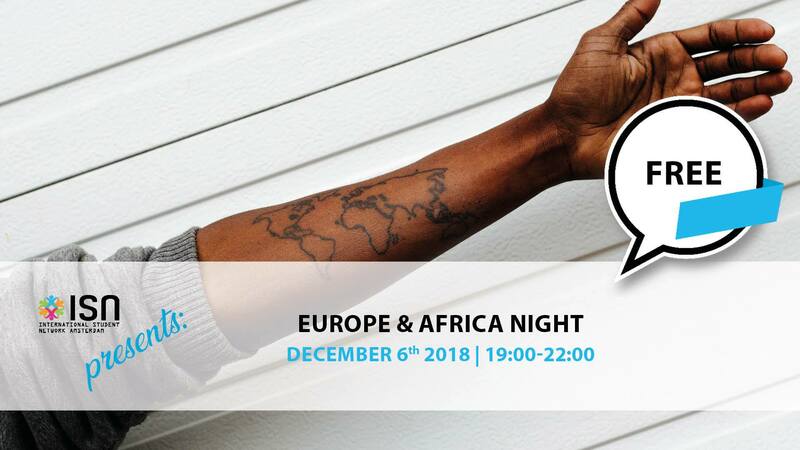 ISN Amsterdam proudly presents: our one and only EUROPE AND AFRICA NIGHT! This event is mainly for international students coming from other European countries or from Africa and for Dutch or local students going to a country in one of these regions for their study abroad… however, the more the merrier, anyone who is interested is welcome to join this evening! During the event you’ll have the chance to meet each other and exchange stories about your countries, ask questions, bring and eat some typical food, and listen to some fascinating speakers! This theme night will take place on Thursday the 6th of December at Roeterseilandcampus room C1.01 and will start at 7PM. The speakers will be announced in this event soon! We’re excited! Don’t forget to SIGN UP and we hope to see you on December 6th! Stay updated by following us on facebook and sign up for our newsletter!